This year I’m teaching at a brand-new school, and for a lot of these kids I’ll be spending the year with, I’m the first teacher of color they’ve ever had. Given that, I feel a real responsibility here to work alongside school leadership to make our community more inclusive and culturally aware. Fear of engaging in these conversations can’t hold any of us back. They’re too important. This is something I’m passionate about, because I’ve been a student of color in a school where I didn’t feel valued. I remember testing into the gifted program as an early elementary school student, and I’ll never forget having a teacher look right at me and say she didn’t understand how a black student could ever test into the gifted program that early. I’m a fierce advocate for students because I don’t want any of them to experience anything like what I did. 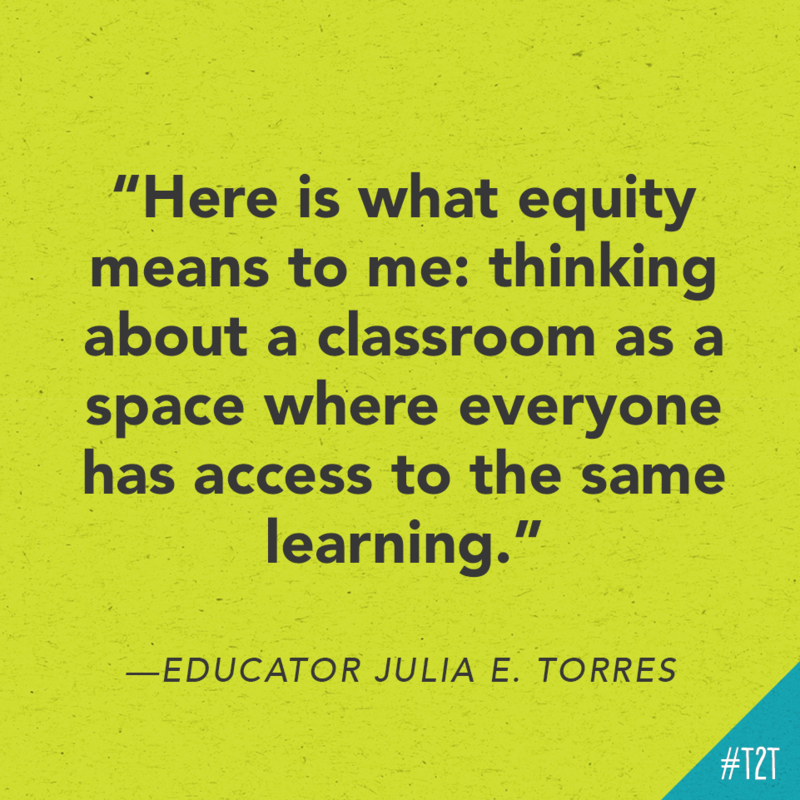 And I want that to extend outside the walls of my classroom, into my entire school community and the greater Atlanta area. As we look around to what’s going on in our communities, we need to be having honest conversations. 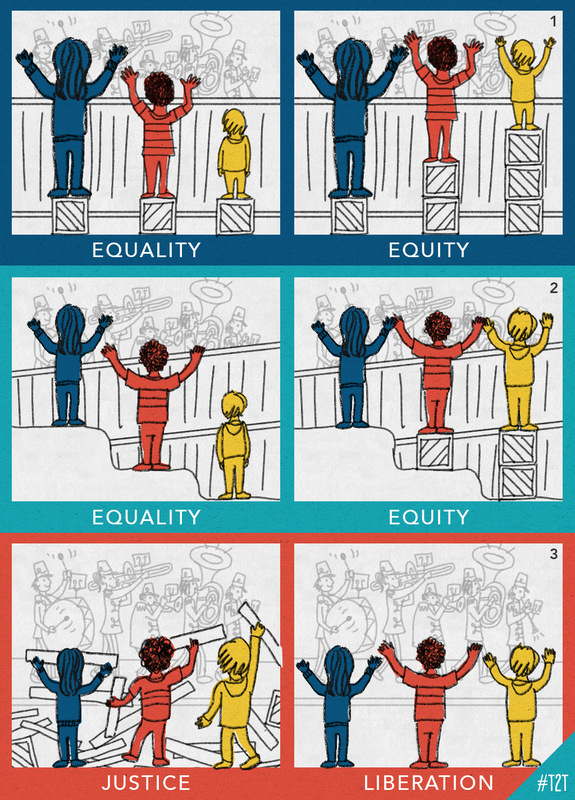 Ignoring equity isn’t the answer. Regardless of your personal experiences or the makeup of your school, I want to encourage you: be part of these conversations. It’s okay to mess up, as long as you show up. I encourage you to make asking questions and learning about how to make our communities more inclusive your one small thing. Ask yourself, “Can I read a book or a blog to get more informed about what I do – and don’t – want to add to my school culture?” Try the resources at EduColor, Teaching Tolerance or Facing History, or read a book like “Why Are All the Black Kids Sitting Together in the Cafeteria?” And Other Conversations About Race by Beverly Daniel Tatum, This is Not a Test: A New Narrative on Race, Class, and Education by José Luis Vilson and For White Folks Who Teach in the Hood… and the Rest of Y’all Too: Reality Pedagogy and Urban Education by Christopher Emdin. Through reading and engaging resources, you are better equipped to address inclusion and equity and to discuss potential solutions. Ask your colleagues! Start conversations. 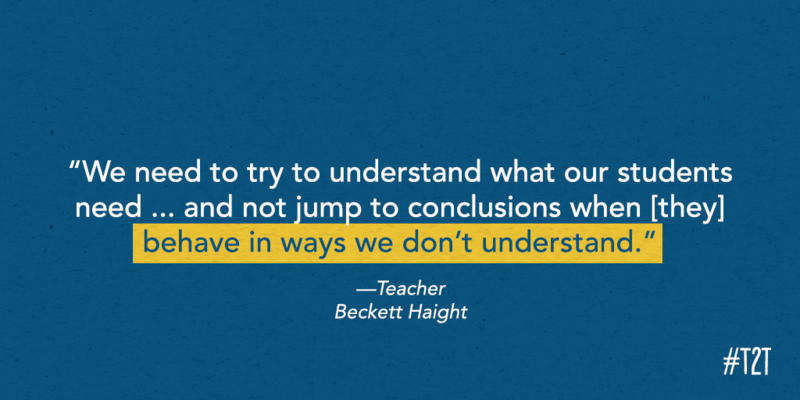 Don’t be afraid to say to another teacher, “Hey, let me ask you about this.” When starting tough conversations, know you might get tripped up or uncomfortable, but doing it with sincerity and authenticity is what matters. That’s what allows us to engage one another and encourage growth. But before you go to your colleagues, I would encourage you to make sure you have done your homework first. Don’t ask others to educate or do work for you. Take the time to read, study and listen before engaging in these conversations, which will make them more meaningful and impactful. It is hard to have sincere conversations without first being educated on race, equity and inclusion. Bring people together. After you’ve engaged texts and taken steps to learn about equity and inclusion, collaborate and hold conversations with diverse groups. Reach out to educators using culturally responsive curriculum. Learn ways to diversify your content and purposefully include diverse cultural perspectives and voices. Recently, I assisted connecting third and fourth grade teachers and their classes at my school with another school in Haiti to help students establish global connections and have better cultural understanding. I’m also convening an organization called EduEmpower Atlanta with the goals of empowering participants, creating a safe community and building capacity for both for educators and parents of color in metro Atlanta. By coming together, asking questions and sharing our experiences, we can only grow – and bring that back to our schools and classrooms for our students. I get that schools can’t become more inclusive overnight. The same is true of our communities. But by being that first, small drop – by getting that ripple of change started – you’re doing something significant to make sure your learning spaces can reflect a wider school culture that is safe and inclusive for all our students, including our most vulnerable. All students need and deserve that. 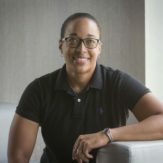 Shana White is an educator in Atlanta, Georgia. Follow her on Twitter @ShanaVWhite.